You are all excited to finally find out that you are going to have a baby and can’t wait to break this news to your family. But how did you realize you are pregnant? Apart from the obvious symptoms, morning sickness is one sign that your baby is on its way. Ever wondered what is morning sickness and why does it occur? And is it really only morning sickness? Let’s find out. When you are pregnant, your body undergoes a lot of changes, and some of these changes are due to certain hormones working full shifts, like hCG – human chorionic gonadotrophin and oestrogen. 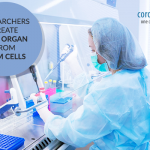 Your body produces these hormones in significant quantities as the placenta has achieved the appropriate growth and has the capability to transfer the nourishment of the baby in the womb. Morning sickness usually begins during the 5th or 6th week of the pregnancy but this is not necessary in all cases. Some women start feeling morning sickness as early as the 5th week in their pregnancy. 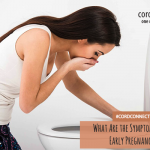 Although it happens in the mornings, hence the name morning sickness, but in some cases the vomiting can occur any time during the day or even throughout the day. At the onset, anything that made you feel nauseated before pregnancy, can easily tick you off to vomiting. A smell that didn’t go well with you, sight of something you don’t usually like, etc. The extreme form of morning sickness is called hyperemesis gravidarum (HG). If you are queasiness lasts all day, ending you in you being sick a number of times during the day, unable to eat or drink, then you may well have HG. HG can cause dehydration and weight loss. Seek help from your doctor as soon as possible. In most cases, HG will end by the time you’re about 20 weeks pregnant. Unfortunately, for some women, it does not go away completely until the end of pregnancy. So, what causes hyperemesis gravidarum? And are there any risks involved? Should you be worried? Although morning sickness or HG can make you feel miserable, it is a good sign. It means that the levels of hormones in your body are high, protecting your pregnancy. Rest assured that you should be through the worst by week 16. it’s very unlikely that your baby will be harmed. Without effective treatment, there is a risk that your baby may be smaller than average at birth. 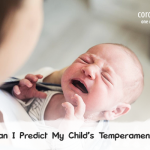 But it’s unlikely that your baby will be affected in this way. Try not to worry about eating a balanced diet, especially if you can’t hold anything down at this stage. Your baby can catch up on his nutrients later on in your pregnancy when you’re feeling better. Consult your doctor early on and explain how bad you are feeling, and that you’d like treatment. Seek your partner’s assistance with basic household chores like grocery shopping, cooking, cleaning. Get you family and friends to come over and babysit your first-born whenever possible. If you have history of nausea from certain foods and smells, it is best to avoid them as much as possible during the pregnancy as the slightest sight or smell can trigger the queasiness syndrome in you. If cooking smells make you feel sick, try eating only cold foods. Drink water regularly in small sips that will keep your body hydrated at all times. You can also try sucking on ice-cubes as that can may also help in such situations. It is important to keep eating regularly, even in little quantities, whenever you can. You can catch up on good nutrition later, as your baby will get her nourishment from your body’s reserves. Get as much rest as you can. Tiredness can make nausea and vomiting worse. Don’t feel guilty about how you feel. You are ill and it is absolutely not your fault.